I love attending The Clean Show. It provides an excellent opportunity to check out the latest in technology and to talk one-on-one with the companies we partner with. 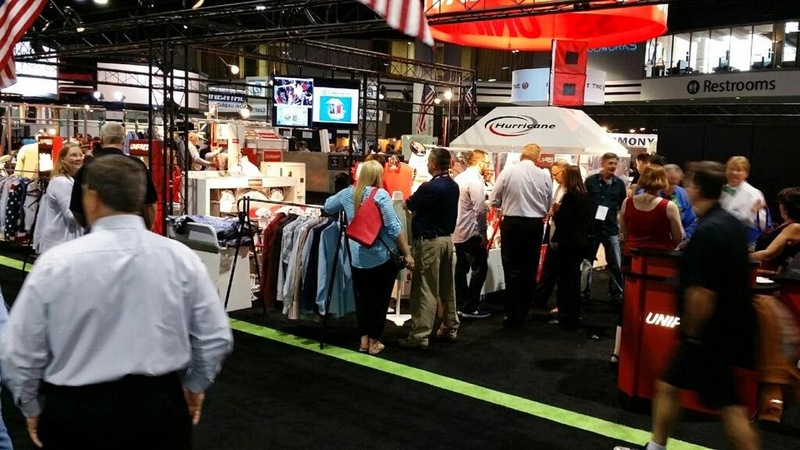 Probably the most looked at and most talked about item at this year’s show was the Unipress Hurricane Double Buck Shirt Unit. I’d like to show you a photo of this unit, but as you can see, there was a mob surrounding it the entire time. The Unipress Hurricane has a touch screen to monitor production, but that’s not the end to the touch screen’s capability. When an error occurs, the screen lets the operator bring up the manual at the point of error and then identifies the parts needed to correct the issue. This gives the operator all the information needed to pinpoint and communicate the problem to the mechanic, who can show up prepared with all the parts needed to fix the problem. 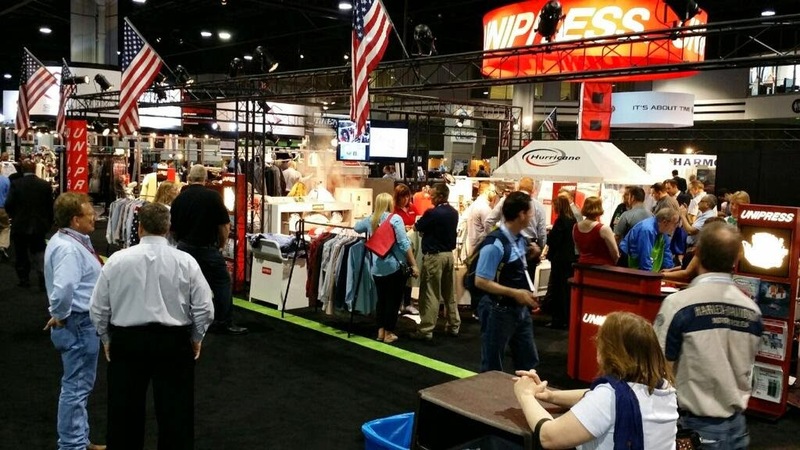 Unipress by far manufacturers the best shirt unit on the market. That being said, no piece of equipment is perfect. In the past, there have been issues with rubber hoses cracking causing units to lose vacuum. They’ve solved that problem in the Unipress Hurricane unit by re-engineering it to eliminate rubber hoses and vacuum lines and then replaced them with aluminum tubing. Finally, they did some fine-tuning on the tensioning arm by both beefing it up and adjusting it towards a more natural angle. Apparently I’m not the only one impressed by this updated shirt unit. Sales of the new Hurricane far exceeded anyone’s expectations. I can see why. It’s a fantastic piece of equipment. If you’re in the market for a similar piece of equipment, Tri-State has a great selection of used Unipress equipment.